No prizes for guessing what's the big story of the week. Yesterday, Google finally lifted the lid on the Nexus One at a specially-convened press conference. 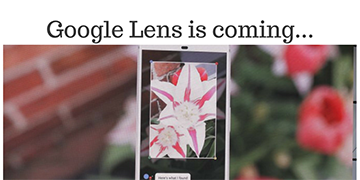 Google phone features are as expected, so you'll find a 3.7-inch display with a 480 x 800 pixel display and a 5-megapixel camera. The advertising giant has also found space for Bluetooth, 7 hours of video playback and a voice-activated keyboard for hands-free texting and emailing. But amid all the buzz about the Nexus One, something else risks being overshadowed. Google, which has built its reputation on free search engines and software, has finally taken the leap into paid-for hardware. The Nexus One has an unlocked price tag of £331. And to start with, it will be sold exclusively through a brand new Google web store at www.google.com/phone. After 12 years revolutionising search, PPC, web browsers, freeware and more, Google has finally become an online retailer. This begs the question – what does the Google web store do differently? Google has made its name by keeping simplicity at the heart of everything it does. The Google homepage is a pared-down version of Yahoo, Chrome is a pared-down version of Internet Explorer and Gmail is a pared-down version of Hotmail. The Google web store continues that trend by being markedly simpler than rivals such as the iPhone homepage. Whereas Apple fills the homepage with hundreds of links, words, tabs and dynamic images, Google contents itself with a mere 50 words and one static picture. 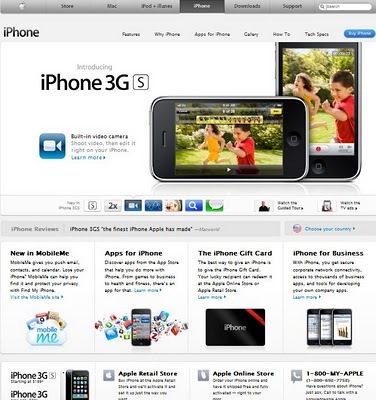 Most visitors will never get through all the information on the iPhone site, whereas a few minutes is enough to learn about the Nexus One. This company also prides itself on having a sense of fun. For example, it's constantly putting out new Google doodles to greet search engine users and the 'I'm Feeling Lucky' button lets you make random discoveries. More recently, it has even started introducing animated doodles. Again, that idea is carried over onto the Google web store. Users are invited to take a 3D tour of the Nexus One, while animated measuring tape and headphones draw themselves when you request more details on the specs page. 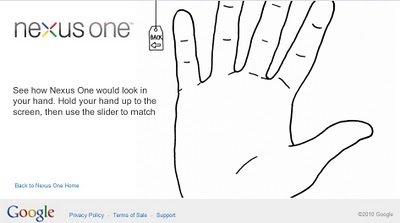 There's even an interactive feature that measures your hand to show how small the Google phone really is. Down the years, Google has won over many internet users thanks to its intuitive search results. 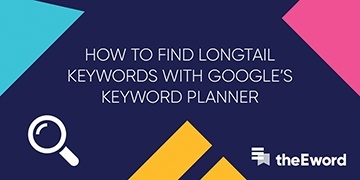 Search for specific products and relevant PPC ads pop up, location-based searches bring up a local map and branded searches such as 'Coca-Cola' give you several indented results from a single website. Now, one of the main selling points of any smartphone is the touchscreen. But unlike the iPhone homepage, Google actually gives visitors a taste of this technology through their computer. Simply select an app on the phone image and Google launches a brief video explaining how it works – much more intuitive than Apple's tabs and more like a smartphone too. And crucially for an online retailer, the call to action is also far more prominent on the Google web store. The 'get your phone' button is big, blue and impossible to miss, whereas the tiny 'buy iPhone' button on the Apple website is easy to overlook amid the wealth of other information. 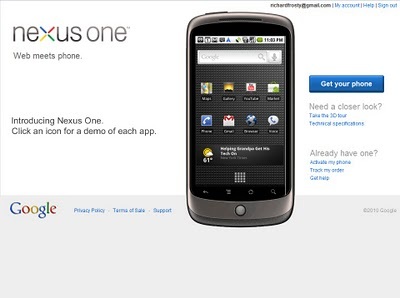 Obviously it will take more than a well-designed website for the Nexus One to win the smartphone war. Nevertheless, the Google web store is simpler, more fun and more intuitive than its rival. And that strategy has served Google extremely well in the past.